Most professional legal service providers like lawyers, attorneys, legal corporations or consultants launch informative websites to introduce themselves and their services to potential clients. To create appealing and professional websites, WordPress can be a suitable and easy solution, and there are plenty of specialized lawyer and legal WordPress themes that cater to this field. Creating an aesthetically pleasing environment for your law, accountancy, justice, finance, or legal firm is of great importance to reach out to your clients. Taking advantage of the flexibility of WordPress and a suitable theme can be a great uplift for your legal firm. Powering millions of websites, WordPress has quickly become the go-to CMS to create high-end online presences. Launching a professional-looking, trust-worthy website and implementing a suitable legal and lawyer WordPress theme can enhance your business noticeable. Useful features such as extensive search functionality, engaging content sliders or carousels, and selectable custom page templates and styles enable you to take your online presence above your competitors. Many legal and lawyer WordPress themes come with a variety of features that let you create a unique online identity for your law and legal firm. For example customizable headers and footers, custom widgets, unlimited colors or multilingual and RTL support, and many more useful features. To rank well on search engines, websites should not only be fully responsive, but also SEO optimized. Most of today’s modern desktop and mobile browsers are catered for when making use of high-end premium WordPress themes, increasing the reach of your law and legal business. Elaborate WordPress themes also come optimized for fast-loading pages with enhanced search engine optimization features integrated to help your firm rank higher with the most popular search engines. Being able to customize your chosen law and legal WordPress theme is vital if you aim to create a unique website for your business. With the templates we have listed you can create professional-looking websites using a range of user-friendly interfaces and control panels. Easy to handle drag & drop capabilities are also commonplace amongst the listed lawyer WordPress themes. Whether you are a legal professional or a webdesigner planning to build a legitimate site for your client, you can find some of the best and most professional lawyer WordPress themes for attorneys and law firms within this article. We have handpicked several professional, competent and popular WordPress legal and lawyer themes from different sources. These WordPress themes are easy to use, well-designed and have all necessary features included to create websites for the legal field. This is a fantastic WordPress theme with lots of flexibility and ease-of-use. Lawyers is built on Bootstrap and comes with a responsive layout. This law theme offers a widgetized homepage, two custom header options, two footer options, HTML5 & CSS code, 4 custom post types and many other great features and options. Lawyers helps you show your business profile, case results, services, testimonials, team, etc. with great finesse. With this professional lawyer WordPress theme you can customize your website in various ways and take your online presence to the next level. With Dejure you may create an attractive and engaging online presences for law and legal firms. This lawyer WordPress theme comes with high-end features, enabling you to launch very professional websites using the simple-to-use theme customizer and drag & drop page building system. Dejure includes a series of premium plugins at no additional cost allowing you to enhance your pages even further. Visual Composer, Revolution Slider, Contact Form 7, and Photoswipe Gallery plugins are all included allowing you to elevate your law and legal company's online profile with ease. The You WordPress theme is a great multi-purpose theme targeted at business owners of different fields, like the legal, lawyer or attorney business. You may use an intuitive drag & drop building system to fine tune your pages, customize the color scheme, and select from a wide-range of pre-configured elements to launch professional websites for your law and legal business. You is fully compatible with popular 3rd party plugins and the most used desktop browsers and mobile devices. TheGem WordPress theme is a multi-purpose template which was designed for business owners wanting to implement a professional online presence. This flexible WordPress theme comes with several pre-configured layouts and styles, allowing you to launch beautiful engaging law and legal websites. Such premium plugins like Visual Composer, Revolution Slider, and LayerSlider5, all come supplied with this versatile WordPress theme. Using TheGem you may setup functional lawyer and legal websites and take your online presence to the next level. All those in the legal profession searching for a WordPress template, should take a look at Attorney as it is suitable for professionals as well as organizations. This modern WordPress theme has been built on Bootstrap and is completely responsive and customizable. Attorney is loaded with many excellent features such as the Revolution Slider plugin, different portfolio layouts, full-width page, choice of page templates, translation readiness, etc. This lawyer WordPress theme offers great possibilities for appealing websites for attorneys or law firms. Lawyeria Attorney WordPress Theme is a multi-purpose WordPress template for professional business websites. This dynamic WordPress theme is perfect for lawyers, attorneys or legal offices. It comes with a modern and clean design and provides plenty of space to display services and further information in an attractive way. Lawyeria is highly customizable in many different ways and offers a fully responsive design. Benefit from great customization options and nice features to create professional online presences. This is a great WordPress theme for lawyers, law offices and attorneys with nice features for professional websites. LEX is responsive, customizable, retina ready, loaded with drag & drop builder, includes six custom post types, 11 custom widgets, 2 blog layouts, 4 practice areas, 15 shortcodes, etc. LEX is very flexible and has been built while keeping latest best practices in mind. Maxim has been tailor made to serve lawyers, attorneys and law offices. This modern WordPress theme is very organized and professional. It is packed with all the necessary visual and functional features such as a responsive design, customizable framework, fast loading time and others. Besides, there is reliable support available and a video guide that will help you installing and operating this template for your law firm website. If you want to give your legal profession a powerful online presence, The Practice can be a great choice. This contemporary and professional WordPress theme is ideal to create your legal website and comes with the necessary functionality to do so. The Practice has got a very distinct strong look which is great for the legal profession. It provides other features such as responsive layout, retina readiness, HTML5 animated slider, built-in page layouts, contact form module, WPML readiness, SEO optimization and more which is also in sync with the needs of this business segment. Here is a modern and professional theme that will give lawyers and law offices a professional web presence to conduct their business in an efficient way. Appointment comes with a customizable homepage which you can design in your own style. Through the booking module, you can connect with your clients and manage appointments. This professional law template also comes with design settings, advanced slider and other styling tools through which you can shape your site accordingly. Solid and smart, CircleLaw is an adequate WordPress theme for lawyers and attorneys. This WordPress theme is fully responsive, loads fast and avoids feature overload, keeping things smooth and professional. CircleLaw also comes with extensive documentation, unlimited styling options, shortcodes, background slideshow and lots more. You can easily connect with your target audience and build a strong online presence for your law firm. Designed to give your site maximum exposure, LawBusiness comes with custom service post type through which you can display your services and offer legal solutions. It also carries options to exhibit personal profiles of lawyers and it is SEO optimized which means your site has better chances to be found by search engines and get a proper ranking. This WordPress law template also comes with a secure custom admin panel which lets you control everything with complete convenience. Themis covers lawyers, legal corporations, firms, judges and all the other legal professionals and organizations. 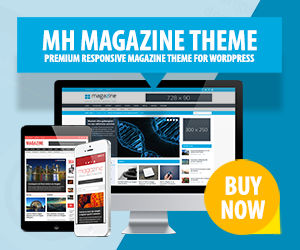 This WP theme is very modern and offers responsive design, 20 different page layouts, 30+ shortcodes, transition effects, 20 pre-defined feature icons, customizable options panel, custom color schemes and many more. Themis gives you free hand to design your WordPress site and provides you with great options through which you can contact your actual and potential clients. This law template is very fast and smooth, with everything performing in a professional way. Looking for a theme with creative and corporate flavor to create your legal website? Lawyer WordPress theme might suit you best. This lawyer theme for WordPress is ideal for advocates, consultants, legal offices and related businesses. It comes with a long list of features and options through which you can design your site and operate it easily. Lawyer was built on Bootstrap and is fully responsive to look great on all screen sizes and modern mobile devices. Here is another lawyer WordPress theme which offers fresh design, HTML5/CSS3 readiness, an impressive multi-layer, RevolutionSlider, SEO optimization, translation readiness and many more great features and options. Thus, you can quickly create an intuitive WordPress site with top notch functionality. Lawyer is loaded with lots of shortcodes and a highly customizable framework to make your work better and easier. Lawyer is full-fledged WordPress theme for your law firm. With a professional layout that adapts to all screen sizes, drag & drop homepage builder through which you can create a unique homepage with only a few clicks and lots more, Legalized is a WordPress theme that can provide great value for your online presence. Devised for lawyers, judges, legal corporations, consultants and others in the legal field, this WordPress template is a perfect solution for setting up your website. Legalized has got included unlimited colors, sidebars, Google Web Fonts, translation options, an advertising manager and many more features and options. With Law practice you can launch high-end professional websites for your legal and accountancy firms. You can take full control over the color scheme, fonts, content sliders, and layouts using an easy-to-use visual interface. This lawyer WordPress theme is suitable for a wide-range of desktop browsers and mobile devices alike. The Law Practice WordPress theme puts user experience at the forefront, ensuring your visitors receive a consistent and reliable experience. You can also make use of a variety of premium features to create diverse and functional websites that showcases your law firm in the best way possible. Justice is a professional lawyer and legal WordPress theme which you can use to create diverse pages your clients will enjoy visiting, no matter which mobile or desktop browser they may be using. With Justice, a user-friendly visual interface is provided allowing you to setup unique websites for your law firm. This lawyer WordPress theme offers a handful of premium plugins, that let you enhance your online presence even further with immediate visible results. The Justice WordPress theme also provides full-support for a series of popular 3rd party plugins including WooCommerce, MailChimp, Revolution Slider, and VisualComposer allowing you to put your business in spotlight. Having an online presence is important if you want to maximize the reach of your law and legal business. WordPress can be a suitable choice to launch your website and take your business to the next level. Implementing one of the above listed premium lawyer WordPress themes brings with it a variety of benefits for you and your legal business. Leaving a lasting impression is essential if your online presence should help you turn visitors into clients for your law and legal firm. Accountants, lawyers, attorneys, solicitors, counsellors, and many other related roles from the legal sector can benefit greatly from a suitable WordPress theme. Not only are the above listed lawyer and legal WordPress themes very user-friendly, but they also look great and highly-professional. Thanks for sharing these great lawyer WordPress templates. Great collection of WordPress themes for law firms! Please check my new lawyers WP theme. If you like it, you can add it also to your list. Hi Tammy, if you’re looking for advertising opportunities, please contact us. We’ll be more than happy to put your WordPress theme in front of a large audience.